Whether it is the latest food fad, the headlines in the media or the daily curiosities of our clients, friends and colleagues (Paleo? Gluten-free? Detox diets? ), dietitians are a sought-after profession, lending their credible voice to food and nutrition issues that matter to people. Over the last year, we’ve responded to articles on food components and detoxification, on butter, margarine, saturated and trans fat, and peanut consumption i n infants at risk for peanut allergy; we’ve flagged news-making headlines on red meat and cancer and on the relationship between spicy foods and mortality. We’ve also provided guidance on diet and nutrition concerns that concern our clients – diabetes, cardiovascular disease, infant feeding, preventing allergy, and more! Dietitians! We’ve had a busy year! welcomed the Association for Dietetics in South Africa to the PEN® community. hosted our first webinar: Producing PEN® Pros – 10 tips and tools to power your practice. launched new PEN® features: My PEN® Content Alerts, customized notes to PEN® client handouts. re-launched our Trending Topics service. launched our Storyboard Video explaining our story of who we are and how we have grown to become a global resource for nutrition practice. helped support media-related work by national dietetic associations including this story: 5 Tips to Spot Misinformation. heard from 30 dietitians around the world on their perspectives of the most significant change in nutrition knowledge and dietetic practice. we celebrated 10 years of supporting dietetic practice with evidence-based tools and resources. We are excited to turn our attention to 2016. 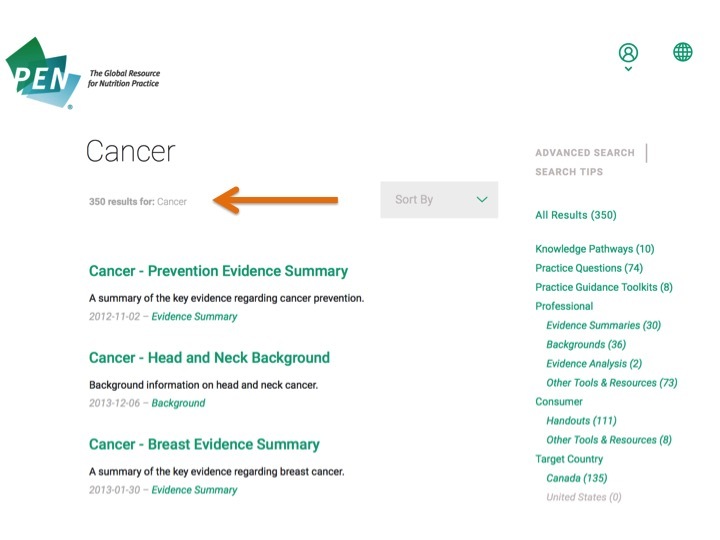 We will be launching a new look for the PEN® website (sneak peak here), we will be incorporating the GRADE approach into PEN®, and we will continue to increase tools, resources, and the breadth and depth of our evidence-based answers to your practice-based questions. 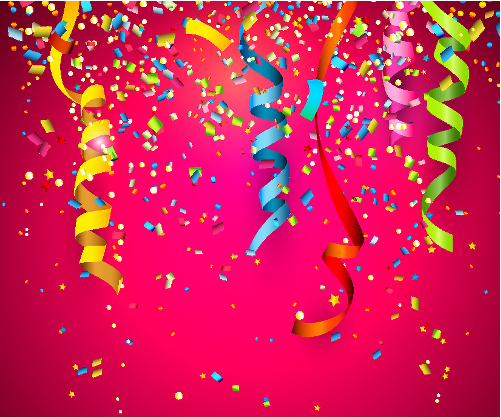 We look forward to another exciting and vibrant year in 2016! take a look back at nutrition knowledge that surprised us this year in our 2015 PEN® Surprising Findings. hear from a professor who shares her experiences of incorporating PEN® into her undergraduate course assignments in Writing for PEN® – undergraduates working outside the box. 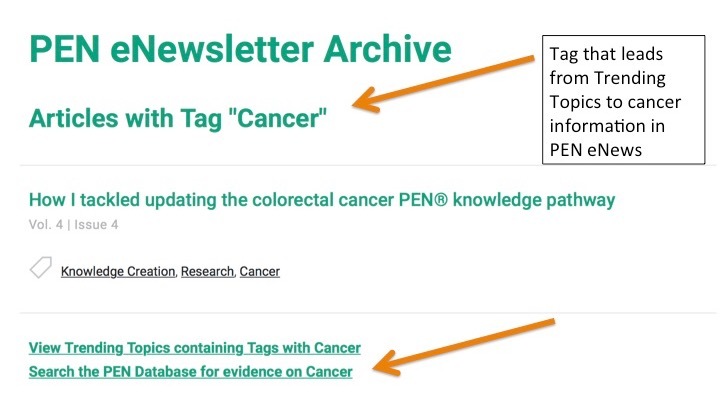 publish Why it’s hard to change: incorporating the cognitive behavioural approach in your practice - Part 2 of 2.
introduce a new PEN® feature, tags, to help you locate information in Trending Topics and PEN® eNews. 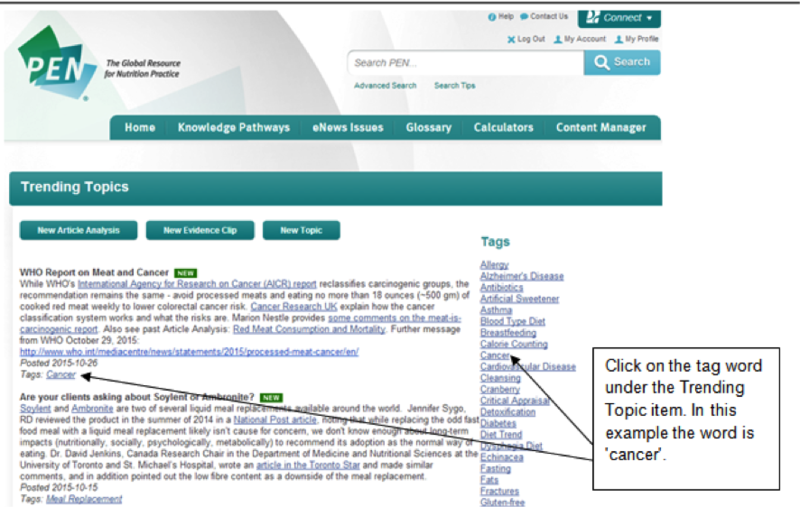 Read How Do I ... Use Tags to Find Nutrition Information in the PEN® knowledge database? We explain what the flags mean in our knowledge database. This and more in PEN® eNews 5(4). 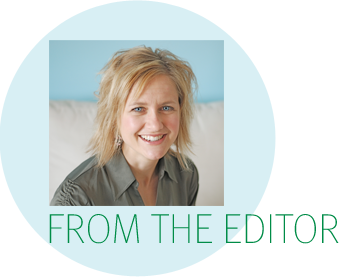 Are Your Clients Asking About 'Leaky Gut Syndrome'? Behind the Headlines One Diet 'Doesn't Fit All' - People 'Metabolize Food Differently'. What are the guidelines for texture progression of solid foods in infants' diets? What is the appropriate frequency and quantity of complementary foods in infants' diets? Is it possible to improve the hydration status of mildly/moderately dehydrated institutionalized elderly who are physically able to consume liquids without the use of intravenous or subcutaneous infusion? Is hypodermoclysis an effective, safe and suitable alternative to intravenous rehydration in the mildly/moderately dehydrated elderly person in a long-term care facility? Do infants aged six to 12 months who are introduced to solids using the baby-led weaning (BLW) technique (i.e. infants self-fed with finger food) compared to infants who are introduced to solids the traditional method (spoon fed with gradual texture progression) have any differences in growth and/or developmental patterns? Country flags have been a means to indicate country involvement and/or country-specific content within the PEN® database for a number of years. However, with growing partnerships, the sheer number of flags has increased, as has the content in the PEN®. As a result, there has been feedback that the flags are less intuitive for users now. In particular, we received feedback from PEN users that flags appearing at the level of knowledge pathways or background documents are confusing, given that all new and updated knowledge pathways are created collaboratively, using the international body of evidence. However, when the evidence is used to create consumer or professional tools (taking into account country-specific foods, health policies, etc. ), it makes sense to note which countries the tools are more applicable to. 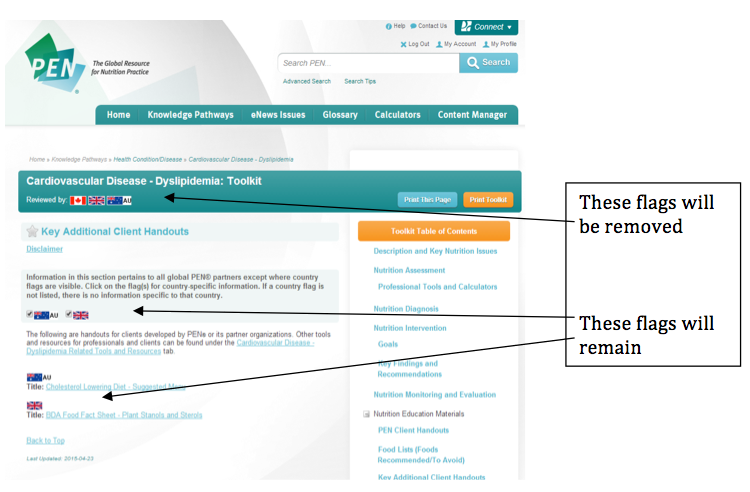 Thus, the flags for knowledge pathways, entire toolkits and background documents have been removed. Flags will continue to appear beside tools and resources that contain country-specific recommendations as well as within toolkits where they will appear above country-specific recommendations. We hope that these changes will enhance your PEN user experience and make it easier to find the information you need. 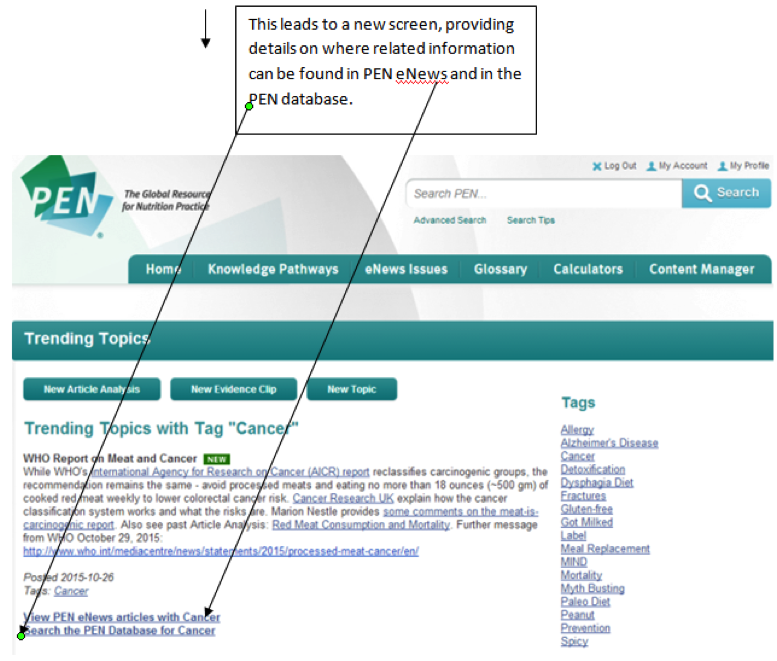 How Do I ... Use Tags to Find Nutrition Information in the PEN® database? 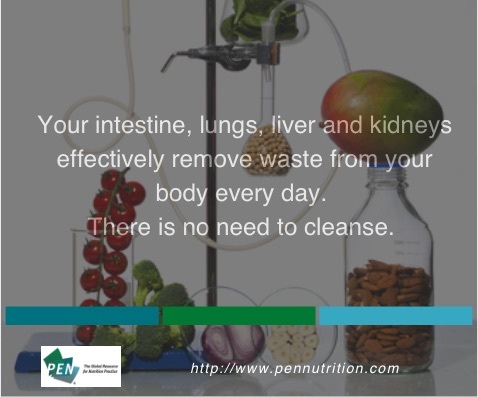 Being asked about detoxification? The Paleo diet? Are you busting nutrition myths? We now have 'Tags' to help you find information in Trending Topics and PEN® eNews! Tags are similar to categories, and are used to describe the prevalent topic(s) found in Trending Topics and PEN® eNews. Tags are limited to a small number of words or concepts that describe the article or main theme(s). They are different from keywords which can be broad or specific terms. 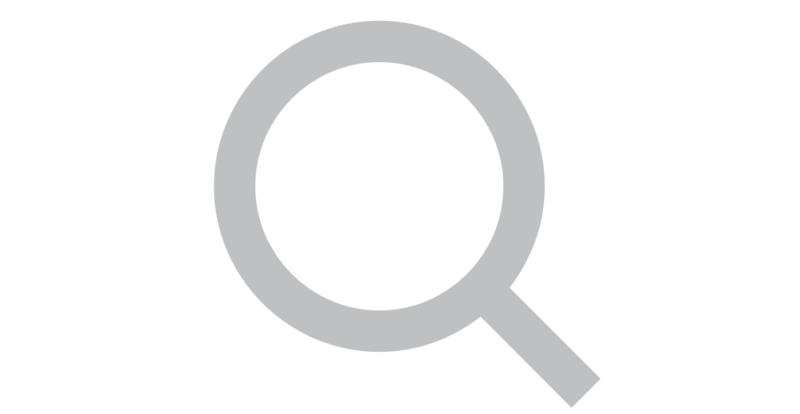 In PEN®, keywords are only used for KP, tools and resources to improve search results. Tags are like a shortcut to common topics. 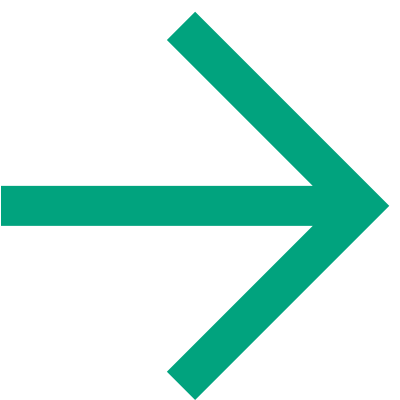 They were created to help users retrieve multiple articles and resources classified under common topics/similar themes and help to cross link resources between the Trending Topics page and PEN® eNews editions, in addition to finding information in knowledge pathway(s). When our new PEN® website is launched in 2016, the tags will form a word cloud and the size of the tag clouds will be related to the number of articles with the relevant tag. Each day, our Global PEN® team monitors the literature for evolving research and monitors for nutrition trends. We have reflected and have shared our surprising findings of 2015. Edible insects - they're back! Like many Canadians, earlier this year I was fortunate to spend Thanksgiving with family. This year was unique in that there were 3 generations represented around our table including 10 twenty-“somethings”. While we enjoyed turkey and the fixings a young cousin mentioned how he had turned to Soylent while at university to keep him inexpensively fuelled while all but eliminating the need to buy groceries or cook. All heads turned in my direction to see what my reaction would be. Soylent is one of several liquid meal replacements available primarily online. I noted a new organic liquid meal replacement Ambronite that is also gaining traction and competes for the same youth market, though their product is more expensive. These products market themselves as high performance nutrition for when you are too busy to shop, cook or eat. Both Soylent and Ambronite display a Proposition 65 warning, meaning that it contains one of approximately 800 chemicals known to cause cancer, birth defects or other reproductive harm according to the state of California. As a result, neither product is recommended for pregnant women. There appears to be little or no long-term or controlled experiments evaluating the impact of Soylent. People are either for or against it based on beliefs around food/nutrition and anecdotes reported by those who use it. "What it’s missing, as is the case with so many other formulated foods, is the thing that makes real food, food: the combination of these vitamins, minerals and macronutrients, as well as the less-well-understood things like phytochemicals, or active plant compounds, that occur by the thousands in everything from apples to zucchini, not to mention the satiating effect that is triggered by actually chewing food." Canadian guidelines advise pregnant women to take a supplement containing iron and vitamin B12. UK guidelines recommend a vitamin D supplement throughout pregnancy. These recommendations are justified in the various guidelines based on the potential for insufficient intake to meet additional needs during pregnancy. Although some of these differences can be accounted for by differences in dietary intakes / exposure amongst individuals in these countries, it is apparent that many of these recommendations are provided based on different interpretations of the balance between benefits and risks of supplementation. My surprise finding for 2015 was a DAA 2015 conference presentation entitled ‘Keeping the Body in Mind for youth with Psychosis. A lifestyle intervention to prevent weight gain and metabolic abnormalities at the commencement of antipsychotics’ which was given by Scott Teasdale APD as part of the Early Career Research Showcase. Scott works for the Bondi Junction Early Psychosis Program, NSW Australia. He and his team conducted a 12-week prospective evaluation of an ‘individualised lifestyle intervention’: Keeping Body in Mind (KBIM) (1). The aim of the study was to investigate the association between lifestyle factors and the prevention of antipsychotic medication-induced weight gain. The program (delivered by a nurse, dietitian and exercise physiologist) was embedded in a community-based treatment program to youth having a first episode of psychosis. The lifestyle intervention comprised health coaching, individual nutrition care plans, practical advice for shopping and cooking skills and exercise in an onsite gym. Outcome measures included weight, waist circumference, biochemical markers, nutritional intake and physical activity of participants (n=18) compared with those receiving ‘usual care’ at another early psychosis intervention program (n=12). The age range was 18-25 years. Results of the KBIM intervention were less mean weight gain at 12 weeks in participants compared to usual care (1.0kg (95% CI -0.4 to 2.3) vs 7.8kg (95% CI 4.8 to 10.7), p<0.001) and no increase to waist circumference (-0.2cm (95% CI -2.1 to 1.6) vs 7.1 cm (95% CI 4,8 to 9.4), p= <0.001) (1-2). Results of the first cohort of KBIM participants have been published in Early Intervention in Psychiatry (3). KBIM participants showed a reduced energy intake (p=<0.001); reduced ‘discretionary food’ intake (p=<0.001); reduced sodium intake (p=<0.001); improved diet quality (p=0.04); and improved aerobic capacity (p=0.004), when compared to baseline (1). Previous research has shown an association between starting antipsychotic medicines and rapid weight gain. In 2008, a systematic review and meta-analysis estimated the mean weight gain to be 12 kg after the first 2 years of antipsychotic medication, followed by an additional 4 kg after 36 months, then a further 3 kg after 48 months leading to a total of nearly 20kg weight gain (4). Teasdale et al (1) showed that at a one-year follow-up of their lifestyle intervention, the mean weight gain was only 2.2kg, with 73% of participants not experiencing clinically significant weight gain. Lifestyle intervention meets one of the critical goals stated in the international declaration on physical health in youth with psychosis (www.iphys.org.au). As Teasdale pointed out in his conference presentation this research is important because if early rapid weight gain can be prevented during commencement of antipsychotic therapy then patients may not experience the metabolic complications that lead to metabolic syndrome, diabetes and cardiovascular disease. As an ex-pharmacist and current APD, I was very interested that a proactive approach to prevention of drug-induced weight gain was possible as there is a long-held belief among many health professionals that such weight gain is an inevitable consequence of antipsychotic therapy. The participants in this study were young and such intervention has the potential to have major health benefits for their futures. When I asked Scott if there were programs to address weight loss in patients with established drug-induced obesity, he responded that was the next step. According to Teasdale, their research program is rolling out a structured lifestyle intervention (similar to KBIM in youth) to those with established illness. I think this work is very exciting and a credit to Teasdale so early in his dietetic career and to the value of intelligent interventions by a motivated team of health professionals. Teasdale S, Watkins A, Rosenbaum S, Kalucy M, Samaras K, Curtis J, Ward PB. Keeping the Body in Mind for youth with psychosis. A lifestyle intervention to prevent weight gain and metabolic abnormalities at the commencement of antipsychotics. Nutrition & Dietetics 2015; 72 (Suppl. 1): 32-33. Teasdale S, Rosenbaum S, Watkins A, Curtis J, Kalucy M, Samaras K, Ward PB. Preventing antipsychotic-induced weight gain in first-episode psychosis: Transitioning dietitians into routine care. Nutrition & Dietetics 2015; doi: 10.1111/1747-0080.12211. Curtis J, Watkins A, Rosenbaum S, Teasdale S, Kalucy M, Samaras K, Ward PB. Evaluating an individualized lifestyle and lifeskills intervention to prevent antipsychotic-induced weight gain in first-episode psychosis. Early Intervention in Psychiatry 2015; doi: 10.1111/eip.12230. My surprise of 2015 was the public and media response to the message from the World Heath Organization to eat less processed and red meats. I had thought (hoped) that as dietitians, we had already gotten this message out. Mind you, the over zealous and inaccurate reporting of it helped to stir up fears of imminent death, or worse. I was surprised, and a bit troubled, that the “eat less” message seemed to be new and shocking to so many people. Cancer Research UK explained how the cancer classification system works and what the risks are. Marion Nestle provided some comments on the meat-is-carcinogenic report. Also see past Article Analysis: Red Meat Consumption and Mortality. Further message from WHO October 29, 2015: click here. The International Agency for Research on Cancer (IARC) recently published an impactful report that summarized the previous evidence-base and assessed whether red and processed meat causes cancer. The report concluded that high intakes of processed meat cause cancer and high intakes of red meat probably cause cancer; in total, around 3% of all cancers. While this sounds like a high percentage, it is surprisingly low compared to smoking which causes 19% of cancers. Therefore, it is important to put this information into context. In the UK, the average intake of red meat and processed meat is approximately 70g and under 50g respectively. The advice to reduce consumption applies if an individual is eating more than this daily amount. Likewise, the complete removal of red and processed meat is not necessary. Red meat is a good source of iron, zinc and vitamin B12, and in particular population groups such as teenage girls and women, cutting out red meat altogether would not be advised. As dietitians, we would recommend incorporating all food groups in moderation as part of a healthy balanced diet, including meat. Have you ever had a meal on an airplane and felt like it just didn’t taste right? Have you ever complained about airline food? Alternatively, have you ever enjoyed a food or beverage more on a plane than on the ground? Well it is probably not your imagination and not just the mass-produced nature of the food. In fact, the scientific reasons behind this may surprise you. The new area of research that I found quite interesting this year was that of the effect of noise on taste perception. In this research study, investigators simulated the noise of an airline cabin to study the potential relationship between noise and taste (1). An airline cabin during a flight is very noisy, with sound levels frequently 85 dB or higher. Investigators found that the noise resulted in sweet tastes being dampened and umami (savory) taste being enhanced; which investigators theorized may be due to mechanostimulation (by the noise) of one of the nerves that runs from the taste buds, through the middle ear to the brain. Previous research has also reported that the lower air pressure and the dryness and coldness of airline cabin air impacts taste perception of food and beverages. Interestingly, at least one airline has reported that tomato juice consumption was as high as beer on flights, unlike on the ground. The research on the effect of noise on taste perception could have far reaching implications such as that on food product development and food service for areas where people are exposed to regular or constant noise such as in the workplace. What I found interesting in 2015 is a study published in BMJ on Consumption of spicy foods and total and cause specific mortality: population based cohort study that looked at regular/habitual intake of spicy foods and found that for those consuming spicy foods almost every day vs only once a week there was a 14% lower risk of death over a medium follow-up period of 7.2 years. 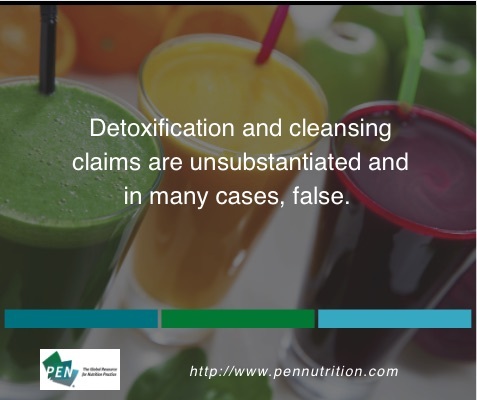 This topic was shared with dietetic practitioners in PEN® through a Trending Topic in September of this year. While discussing this topic over dinner after the BMJ study came out, my 15 year old son's reaction was, "well duh, you can't eat as much food when it is super hot and spicy." So, while the study and our discussion was focused on mortality, my son was able to highlight early satiety as a mechanism that could explain part of this relationship, at least in populations not accustomed to eating spicy food. I hope there is more to follow from this preliminary research looking at spicy foods and their effects on other dietary habits and lifestyle behaviors and that we might see more guidelines promoting spicy (and flavourful) food intake for satiety, portion control for weight management and disease prevention. It is also consistent with the practice of positive messaging – encouraging people to focus on what they can eat and what they can add, rather than foods to eliminate from their diets. One of the best parts of my role on the PEN® Team is that I read the majority of what is on the PEN® website. Thus, there are many surprising moments in my day. However, the individual moments stand out less than the trends I observe in the evidence as a whole. The trend that fascinates me the most at present relates to nutrients and food, and the lens in which they are viewed. 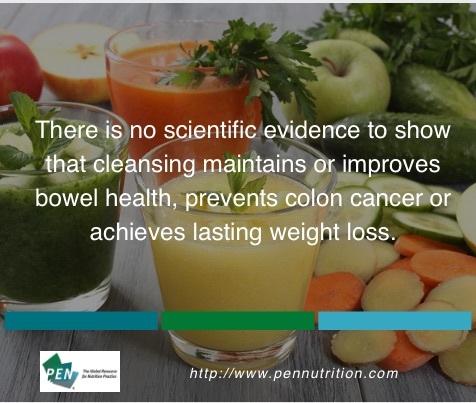 There is always a plethora of studies regarding individual nutrients and how these nutrients alone or in combination affect health. However, there seems to be increasing research and commentary on how food should be viewed and classified and more attention to dietary patterns as opposed to individual foods or food groups. A recent article articulates these concepts well. The future of food and nutrition research will be exciting that is for sure! PEN® Surprising finding: Edible insects – they’re back!!! In the fall of 2013 students at McGill University in Montreal, Quebec (Canada) received a $1 million dollar prize for proposing to use insects to help with the world hunger issue. I worked with a student to write an article analysis: “Edible Insects as a Possible Solution to Food Insecurity”. We never published it – too radical, too controversial, too yucky, not enough evidence, not enough known about the nutritional composition of insects, nutritional composition is too diverse….and the list goes on. I keep my eyes open for articles related to insects as a food source as I find it fascinating. There continue to be articles written about the benefits and data collected on the increase in human consumption of insects. There is a U.S. company who has developed a cereal bar made with cricket flour. They received a reasonable review by Consumer Reports but their label has a warning to people with a shellfish allergy as crickets are genetically similar to shellfish. To my surprise, I recently noticed that the FAO/INFOODS has collected and added 456 food entries on the nutrient composition of insects at varying stages of the lifecycle into the Food Composition Database for Biodiversity. Maybe it is time to dust off the 2013 article! Answering customer service tickets has helped me realize the global scope of the PEN® database. I’ve always known that PEN® has been expanding to more and more countries around the world but it hasn’t really hit me until this past year, how global, Global PEN® has become. I have had the chance to talk to people or answer tickets from a range of locations, from B.C to Sweden, to Nova Scotia to South Africa. It’s always fun to chat with others and a nice reminder that our work is appreciated around the world! 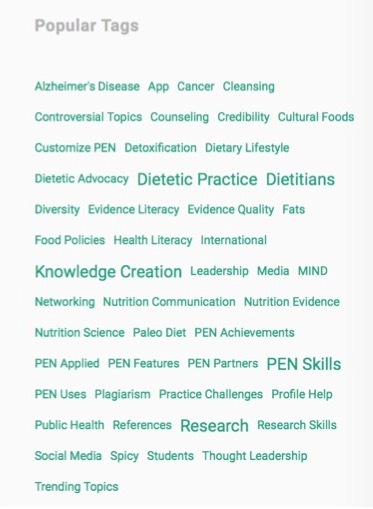 Click here to see how PEN has impacted dietitians around the world. PEN® Database Coordinator, Dietitians of Canada. While this was not a surprise, per se, it was fascinating to read the diverse perspectives from the international dietetic community as to what were the most significant changes in nutrition knowledge and dietetic practice. The surprises submitted showcased the breadth of dietetic practice around the world. I look forward to this next year to see what might surprise us! Creative. Unique. Challenging. These words described the student experience of writing for the PEN® database. For two years, the Nutrition and Aging course at St. Francis Xavier University, Department of Human Nutrition has included a service learning assignment with PEN. This year students wrote Facebook and Twitter posts for Practice Questions that had been updated by students in the previous year. The assignments used an active form of learning course content – ‘doing’ not ‘hearing’ – and challenged students to higher level learning. While used to writing longer papers, adapting to the concise writing style needed for PEN posed some challenges. Guiding students through the process required creativity. Structured weekly written reports and classroom discussions allowed frequent and immediate feedback. A fair and transparent grading rubric assisted with understanding the key aspects of the assignment. Early in the 10-week process students displayed interest and excitement, yet also experienced confusion as they learned the mindset for this particular task. Highlighting the adult learning process helped students to understand the normalcy of this slower start to the 10-week project, that their frustrations were part of the learning process, and that this would not put them behind. Working in teams to complete projects further facilitated forward movement. The final product amazes students. They didn’t think they’d get there or ‘do it right.’ This lack of self-efficacy from early in the project is part of the greater learnings experienced by each student. Writing for PEN gave them the confidence that they could tackle a new way of doing things with success in mind. They know they can do it – and do it well. As an instructor, I would recommend this collaborative learning style to other course instructors. It provides students the opportunity to be part of this global professional network, adds to their portfolios, and demonstrates abilities they weren’t always sure they possessed. Instructors see the positive outcome in professional growth of students and PEN networks support development of young professionals. It is well worth the efforts for all concerned. Clients really appreciate the dietitian who acknowledges that it is a tremendous challenge to change one’s eating habits. We are all ‘eating under the influence’ of a variety of factors that contribute to this struggle. Firstly, our current society can be ‘obesogenic’. Help your client become aware of the many eating invitations and messages that they are exposed to and that influence their thoughts, emotions and eating behaviour. ‘You deserve a break!’ is not suggesting that you deserve to eat a bowl of tofu or to go for a walk. Rather, you deserve something delicious and satisfying to eat or drink. The fact that we now have cup holders in vehicles, shopping carts, baby strollers and study desks suggests that we can multi-task while drinking large, calorie-laden beverages. We are distracted eaters missing out on the full awareness and pleasure of eating. The presence of food outlets in movie theatres, hardware stores, airports, pharmacies and gas stations sends a strong message that we no longer eat only three, sit-down meals with our family – we can eat anytime, anywhere! Secondly, each client has their own personal relationship with food. From the time they were nursed at their mother’s breast the client’s perspective and beliefs have been evolving. These unique associations they have with food and eating will definitely contribute to their choices and how they respond to their eating decisions. Help your client become aware of their thoughts and learn to adjust them. 1) Suggest that your client imagine themselves in a ‘high risk eating situation’. 2) While visualizing the situation, ask them to notice the thoughts that are going through their mind. 3) Encourage them to pause any thought that may be persuading them to eat. Have them say the thought aloud and consider it for a minute. 4) Ask if they’d like to discuss how to adjust the thought in a way that will help them make a healthy eating choice. The following examples provide possible problematic thoughts that your client could have in different situations. In italics, are alternative thoughts that may help them make healthier eating choices. Ask your client to imagine that they are just about to . . .
Having this type of discussion with your clients will increase their awareness about the factors that influence their thoughts and decisions around food and eating. Once aware, they will be better able to ‘talk back’ to their thoughts and resist succumbing to these influences. Dietitians, we’ve been here before. The start of a new year, which often inspires new health goals and prediction of the upcoming year’s health trends. You will likely see many articles over the next month on trends to watch, foods to eat and dietary approaches to take in 2016. Maybe you will be writing some of these articles (if you do, please share the link with us)! Many people set New Year’s Resolutions that often involve changes to their diet and nutrition. To help you build your evidence-based responses to questions received around timely topics, we have pulled together a few of our evidence-based resources. We’ve also highlighted brief sections of our evidence reviews to help you to respond to questions commonly received around the new year. We hope these resources will help you as you approach and respond to the season of change. Dietitians, for the evidence-based review on which this is based, click here. Dietitians, for the evidence-based review on which this is based, for more information click here. 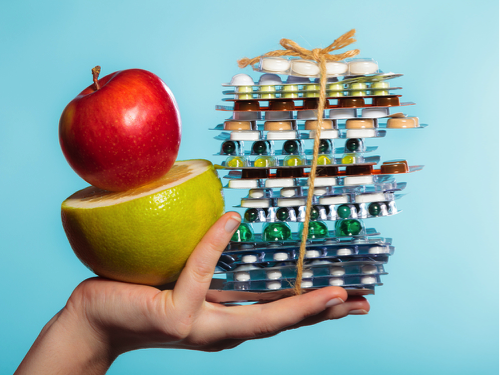 Acai, apple cider vinegar, banana leaf, bitter orange…Dietitians, are you being asked about the efficacy around any of these and 27 other dietary supplements for weight loss? Click here for the evidence synthesis. While there are many dietary approaches to weight management, the Paleo diet has become very popular. We have pulled together 10 resources to help you communicate around the Paleo diet. Dietitians of Canada. The Paleo Diet. In Practice-based Evidence in Nutrition [PEN]. Access by subscription. Dietitians of Canada. Does a Paleolithic diet improve weight status and body composition compared to other diet types? In Practice-based Evidence in Nutrition [PEN]. 2015-05-08. Access by subscription. Dietitians of Canada. Does a Paleolithic diet improve CVD risk factors compared to other diet types? In Practice-based Evidence in Nutrition [PEN]. 2015-05-08. Access by subscription. Dietitians of Canada. Does a Paleolithic diet improve glucose tolerance compared to other diet types? In Practice-based Evidence in Nutrition [PEN]. 2015-05-08. Access by subscription. Dietitians of Canada. Does a Paleolithic diet improve satiety compared to other diet types. In Practice-based Evidence in Nutrition [PEN]. 2015-05-08. Access by subscription. Dietitians of Canada. Fenton T. The Popular Paleo Diet November 2014. Evidence Clip. In Practice-based Evidence in Nutrition [PEN]. 2014. Access by subscription. Belluz J. What Paleo diets get wrong: We’re not evolved for meat, and our ancestors ate carbs. Hardy K, Brand-Miller J, Brown KD, Thomas MG, Copeland L. The Importance of Dietary Carbohydrate in Human Evolution. The Quarterly Review of Biology Vol. 90, No. 3 (September 2015) (pp. 251-268). Manheimer EW1, van Zuuren EJ2, Fedorowicz Z3, Pijl H4. Paleolithic nutrition for metabolic syndrome: systematic review and meta-analysis. Am J Clin Nutr. 2015 Oct;102(4):922-32. doi: 10.3945/ajcn.115.113613. Epub 2015 Aug 12. Dr Tanis Fenton discusses the ‪#‎paleo‬‬‬‬‬‬‬‬‬‬‬‬‬‬‬‬‬‬‬‬‬‬‬ diet, and 3 lines of evidence that our ancestors ate carbohydrate rich foods. You can listen to this 5 minute interview here. Warinner C. Debunking the Paleo Diet. TEDxTalk. Our global PEN® partnership has benefited from volunteer efforts around the world. Please take a moment to read and acknowledge your colleagues who have served as authors, or peer reviewers for PEN® content since September 2015. The United Nations has declared that 2016 is the International Year of Pulses – for a healthy, hunger-free and sustainable world. 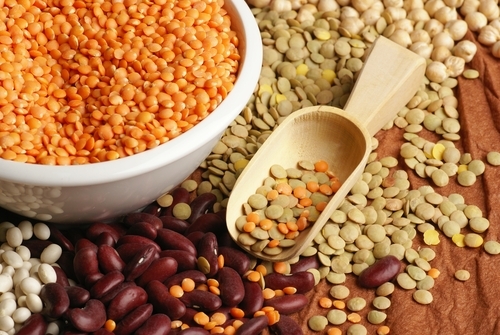 Promoted as a healthy addition to the diet, it is important for dietitians to know the composition and the potential health benefits of pulses, and to be able to help consumers incorporate pulses into their diets. Here is a pulse backgrounder to get you started. Organizers have created this International Year of Pulses toolkit. If you are looking for additional resources on pulses, go into our PEN® knowledge database and search for “pulses” in the search box. You will locate over 25 resources to help you, including evidence on the health benefits of pulses, strategies to minimize flatulence from pulses and recipes for using pulses in your diet. The Dietitians Association of Australia (DAA) is excited to announce that registration for DAA’s 2016 National Conference will open 16 December 2015. DAA is expecting this to be our largest and most comprehensive conference ever, embracing the strengths of dietetics in Victoria. The conference has three plenary themes – Food, Leadership and Translation. These themes will showcase the eight outstanding keynote speakers. It will also feature thirty-three workshops and over 100 concurrent presentations to help facilitate presentation and learning opportunities for everyone, from student researchers through to the most experienced clinicians and academics. The conference also aligns with DAA celebrating 40 years in Australia and will be a great opportunity to network with colleagues and celebrate together. Our host city of Melbourne, Victoria is the 2nd largest city in Australia. It is a hub for art, entertainment, culture and food – and the Melbourne Convention and Exhibition Centre is Australia’s most versatile convention and exhibition facility. For more information about our exciting program and to register from 16 December 2015 please see the conference website. How to avoid predatory journals – a five point plan. Cold pressed juices are a waste of money. The (lack of) science behind them says so. The straw men of integrative health and alternative medicine policy options. A bad combo: predatory journals and homeopathy studies. Hoffmann MR, Alzaben AS, Enns SE, Marcon MA, Turner J, Mager DR. Parental Health Beliefs, Socio-demographics, and Healthcare Recommendations Influence Micronutrient Supplementation in Youth with Celiac Disease. Country flags in PEN® – what do they mean and where to find in PEN?